eSports influencer marketing is the latest trend with marketers and brands. And like all other marketing channels and influencer marketing niches, it comes with a set of challenges. 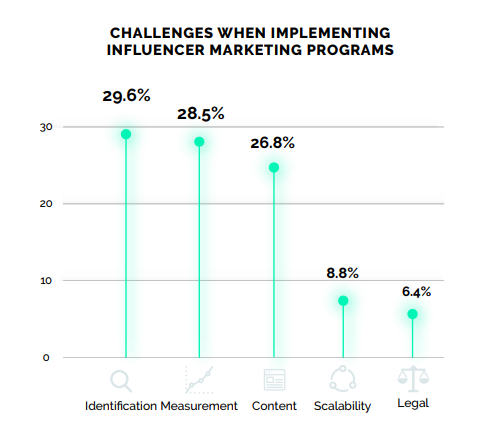 Some of the challenges may be unique to the niche, while it also experiences some of the more common influencer marketing challenges. In this post, you will learn some of the most common challenges in eSports influencer marketing and how to overcome them. One of the biggest challenges in eSports influencer marketing is deciding whether it’s even relevant for you. Often, brands that face this challenge are in completely different niches and industries. So they’re unsure about whether there’s any benefit to targeting the eSports audience. It’s true that eSports influencer marketing isn’t relevant to every brand. However, it isn’t necessarily just confined to gaming and tech either. eSports audiences aren’t only interested in those two niches. And being consumers, there are some consumer goods that could be relevant to them as well. You can look at the demographics of eSports audiences to figure out whether the industry is relevant to your brand. 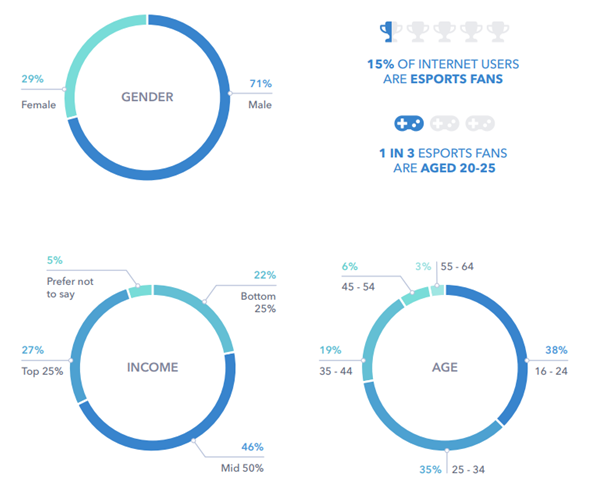 According to GlobalWebIndex, 15% of internet users are eSports fans. Out of this, a majority of them are no older than 34 years. 38% of eSports fans are between the ages of 16 and 24 and 35% are between the ages of 25 and 34. So the industry definitely caters to a younger audience, although there is an also significant amount of older adult fans. This means that brands that sell products targeted towards a younger audience would definitely see some success in eSports influencer marketing. For instance, eSports fans will likely be interested in different pop culture franchises based on how they are interested in video games. Many will be interested in fast food as well. That’s why top fast food chains like KFC and Taco Bell have worked with eSports influencers. But you might not find much success in eSports influencer marketing if your brand sells luxury products. This is mainly because most members of the eSports community have an average income and may not see much value in luxury goods. According to the GlobalWebIndex survey, 46% of fans are in the mid 50% income range. You can use the above eSports audience demographics breakdown to understand whether the industry aligns with your brand or your industry. The second challenge is something that brands struggle with, even outside of eSports. According to a study by Relatable, identifying the right influencers is the biggest influencer marketing challenge. Almost 40% of marketing professionals in their survey found it challenging. It was also the top challenge among marketers in a Launchmetrics study. Almost 30% of marketers in the survey considered influencer identification as their biggest challenge. Choosing which influencers to work with can be challenging because there are a lot of factors to take into consideration. This includes rate, reach, engagement, content quality, etc. But most importantly, you should consider whether or not the influencer can reach your target audience. An influencer may seem perfect from the looks of it. They may have a lot of influence and create really great content that their audience loves. To top it all off, their rates may be quite reasonable and well within your budget. But what if among their thousands of followers, not even a hundred people fit the characteristics of your target audience? After narrowing down on the best possible influencers based on other factors, you can look at their audience demographics. Compare these numbers against your defined target audience and see if there’s a close alignment. Platforms like Traackr and Upfluence come with an audience analytics feature to help you with this. Traackr analytics are particularly helpful since they show you the occupations of their audience, aside from basic details like age, gender, and location. They even help you understand what other interests and likes their followers have. This is great for narrowing down potential influencers who can reach an audience that’s interested in your niche. Another major challenge that brands face with eSports influencer marketing is in deciding what type of campaign to run. This can be very difficult to pinpoint because the campaign types are totally different from the influencer marketing campaigns you’re used to seeing. Plus, there’s also the fact that the platforms used by these influencers and the content they create are slightly different. Brands often partner with influential eSports teams by sponsoring them for a tournament or providing them with merchandise and gaming equipment. But of course, this is typically only relevant to those brands in the gaming and tech industries. What types of campaigns can you run if your brand isn’t relevant to these niches? Non-gaming brands can sponsor an entire eSports team to get some visibility at an eSports tournament. 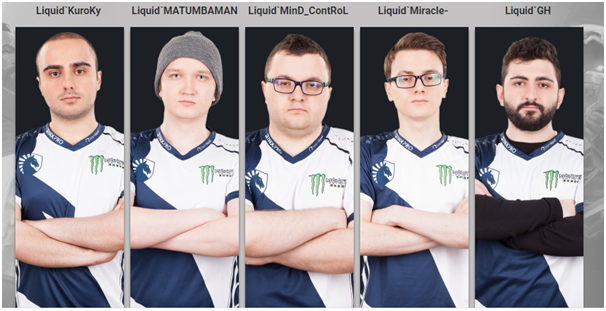 For example, Monster Energy has sponsored Team Liquid, and the team uniform includes the brand’s logo. This type of sponsorship can be a pricey affair! There’s also the fact that the main focus wouldn’t be on your brand. You wouldn’t be able to tell your brand story or promote your brand’s product. People wouldn’t really be able to learn about you unless they’re already familiar with your brand. So it’s mostly viable for big brands and aimed at brand awareness. You will need the influencer to talk about your brand or product a bit if you’re a lesser-known brand. In this case, you can sponsor an eSports influencer to create sponsored content on Twitch. They can infuse your brand mentions into their content in a way that’s not overly promotional. Or perhaps they can simply mention that the content is sponsored by you. 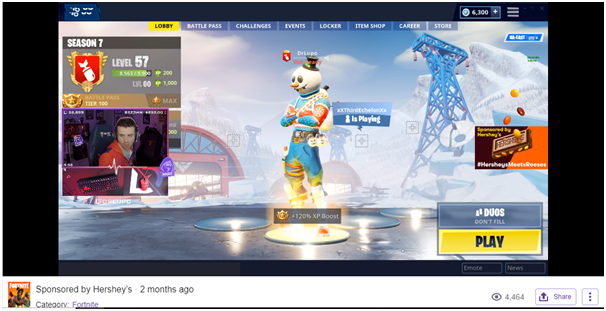 That’s what eSports influencer, DrLupo, did for Hershey’s when they sponsored one of his Fortnite streams on Twitch. If you want to further expand your reach on other platforms, you can even run a cross-platform campaign where they promote you on other social media channels. Discuss what kind of content they’re comfortable creating with them. Perhaps a simple product placement post could work, or they might even be able to create a whole YouTube video reviewing your product. Typically, it’s best to work with an eSports influencer agency to come up with the right campaign for your brand. These agencies can consider your brand’s niche and campaign goals to come up with the perfect campaign. They’ll also have a clear idea of which influencers to activate based on your campaign type. eSports influencer marketing also experiences a challenge in terms of ROI measurement. This challenge isn’t unique to eSports; a lot of marketers have a hard time measuring the ROI of their campaigns. In the previously cited Launchmetrics survey, it was the second biggest challenge. 28.5% of marketers in the survey found it challenging. 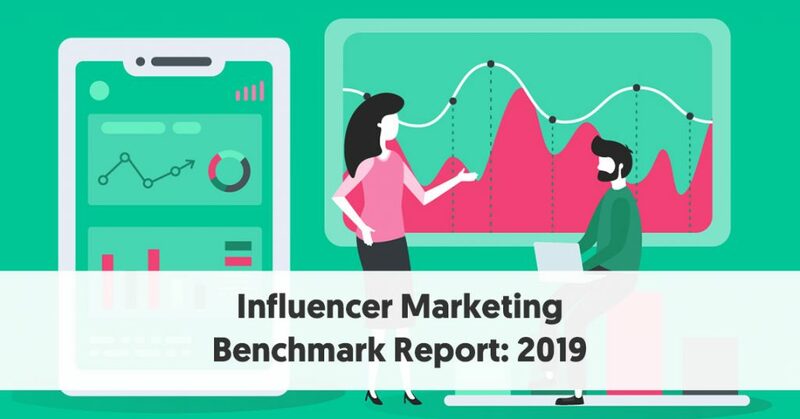 In a Benchmark study conducted by Influencer Marketing Hub in 2019, we found it to be the biggest challenge faced by marketers. The majority of those surveyed felt that determining influencer marketing ROI was their biggest challenge. So while brands and marketers in other niches are already struggling with this, the challenge is even bigger in eSports influencer marketing. This is mainly due to the nature of campaigns and the types of content created by eSports influencers. With campaigns that involve sponsoring eSports teams for tournaments, there’s no proper way to measure ROI. You should keep track of the standard performance metrics like traffic, social media mentions, follower growth rate, engagement rate, etc. Then compare them against your performance before the campaign and see how much improvement you’ve experienced. That’s the only way to measure your campaign ROI for this type of influencer marketing campaign at present. But with campaigns where eSports influencers are creating content for your brand, you have several other options to measure ROI. This will typically be based on the platform you’re using and what performance tracking metrics available. For sponsored streaming sessions on Twitch, for instance, you can use some of the Twitch metrics to measure your campaign performance. Metrics like concurrent viewers, chat activity, time watched, video plays, etc. 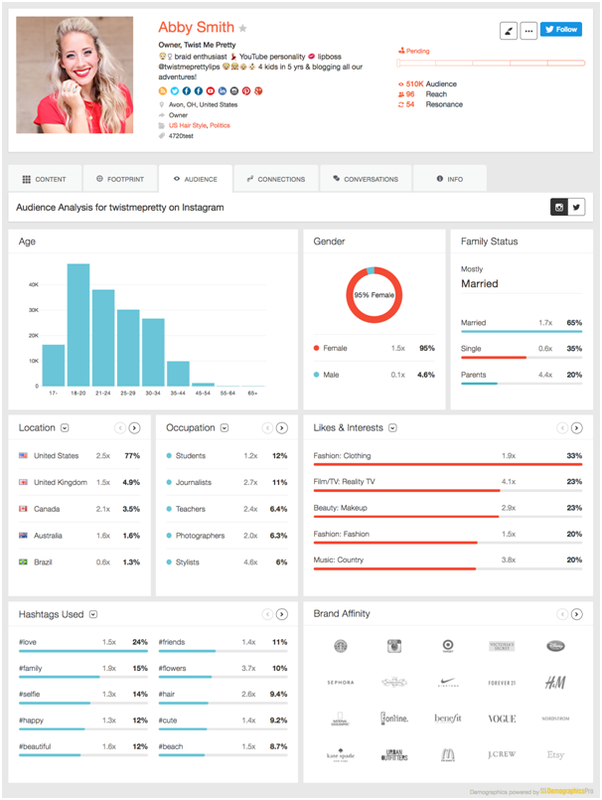 can help you understand how the influencer is engaging viewers with sponsored content. You can then follow up by measuring how this campaign is affecting your site’s traffic, social media impressions, follower growth, etc. Of course, you will first need to clearly lay out your campaign goals whether it’s to raise brand awareness or to drive conversions. So you’ll have a better idea of which metrics are relevant to track your campaign ROI. eSports influencer marketing is far more challenging than influencer marketing in any other niche. Factors like campaign types and content types play a huge role in multiplying the challenges you might face. But when done right, it pays off extremely well because of how engaged the eSports audience is. The proof is in how eSports influencers have a much higher engagement rate than average on regular social media platforms. For instance, eSports influencer, Arteezy, has an average Instagram engagement rate of 12.79%. To understand how impressive this number is, the average Instagram engagement rate is somewhere around 1% to 3.5%. This goes to show that, although eSports influencer marketing may be challenging, the effort and time pays off. 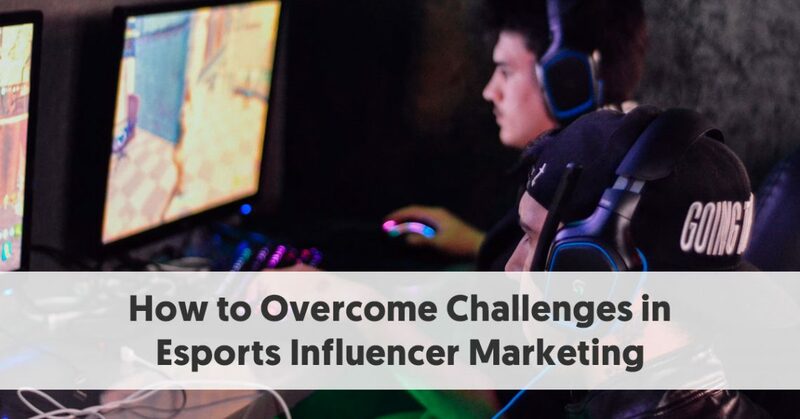 You can use the tips above to overcome the biggest challenges in eSports influencer marketing and watch your business grow.